Beginning today, face painting at Disney’s Hollywood Studios is unavailable. There will be no face painting through July 23rd. Special FX Makeup in Pixar Place is now behind construction walls. That makes the face painting location near Rock ‘n’ Roller Coaster on Sunset Boulevard the only location to be offering face painting at that park. That location will be open again for guests on July 24th. Are you a fan of getting your face painted when you visit the Walt Disney World resort?! It’s a unique way to add a little extra Disney Magic to your vacation! 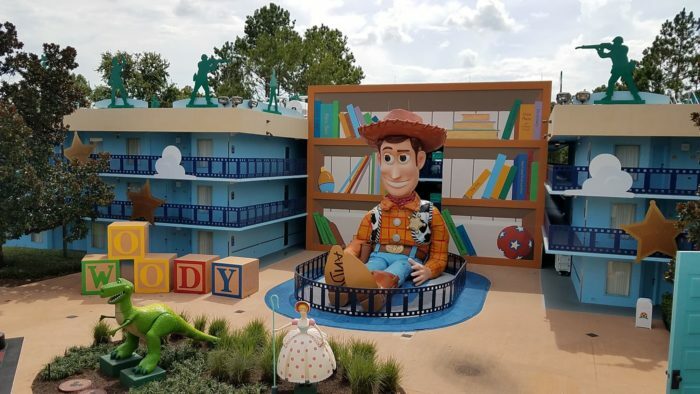 And while you’re at Disney’s Hollywood Studios I’m sure you’ll be stopping by the newly opened Toy Story Land! Take a ride on Slinky Dog Dash or a spin on Alien Spinning Saucers. And grab some tasty grub at Woody’s Lunch Box when hunger strikes! We are loving this new land and know that you will too! I don’t know about you, but I am loving all of the amazing things happening at the Walt Disney World Resort this summer! And I don’t want to miss out on any of them! Let one of the amazing travel experts at MickeyTravels make that happen as they help you plan the Disney World vacation of your dreams! They will work with you to make sure every Magical details is though of – and all you have to worry about is when it’s time for you to start packing! Click HERE for your No Obligations Free Quote (or use the form below)!